Segment DE is parallel to BC and creates triangle ADE from ABC using the scale factor on the slider. 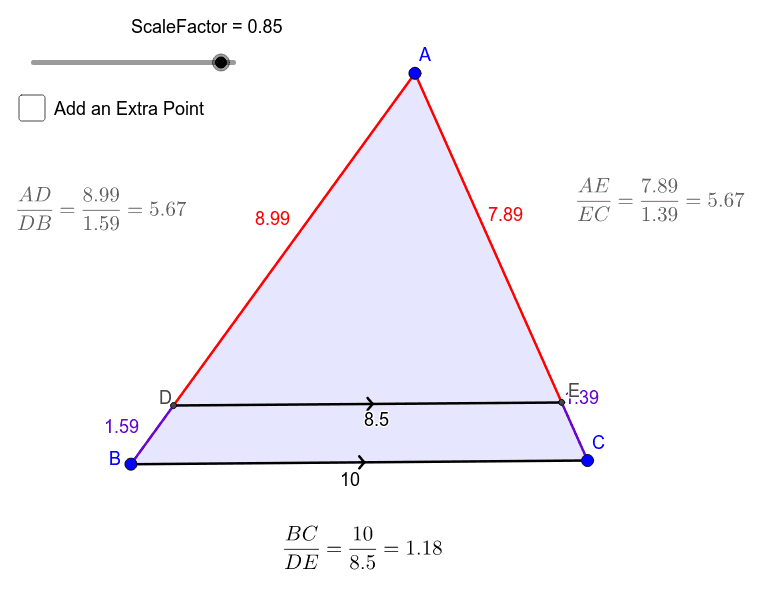 You can adjust points A, B and C and the scale factor. Which ratios are always equivalent? Look at the math behind the ratios. Why won't the parallel segments equal the ratio for the side parts? Triangles Manipulative - what do you notice?